Gelong Thubten is a Buddhist monk who teaches meditation and specialises in providing non-religious mindfulness workshops and training programmes for businesses and organisations. Thubten has been a monk since 1993 at Kagyu Samye Ling Tibetan Buddhist Monastery, (www.samyeling.org), has trained under some of the world’s most accomplished teachers of meditation, and has spent over five years in intensive meditation retreats. Thubten has taught mindfulness at major global companies and organisations, including Google, LindkedIn, Siemens, Deutsche Bank, HSBC, Lloyds Bank and Clifford Chance. Thubten’s work has also been featured in the Times and Guardian newspapers and on the BBC and ITV. 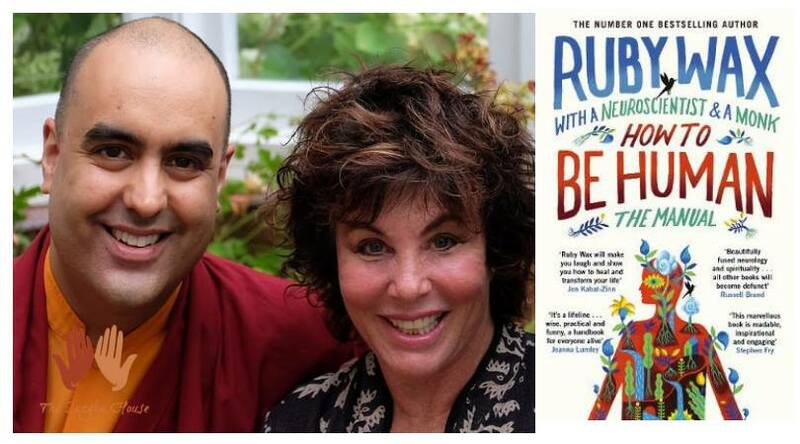 Gelong Thubten has just finished a book tour with Ruby Wax. He has acted as a consultant to Ruby and co-authored her latest book, “How to be Human, The Manual”. He has worked with a number of Holywood A Listers including Benedict Cumberbatch. Gelong Thubten comes to The Sangha House. On March 2nd and 3rd we are very lucky to have Thubten here with us for a full weekend of workshops and meditation. 10.30am till 11.30am. Morning meditation. We can help you with hotels if you are coming in from outside of Somerset/Devon.